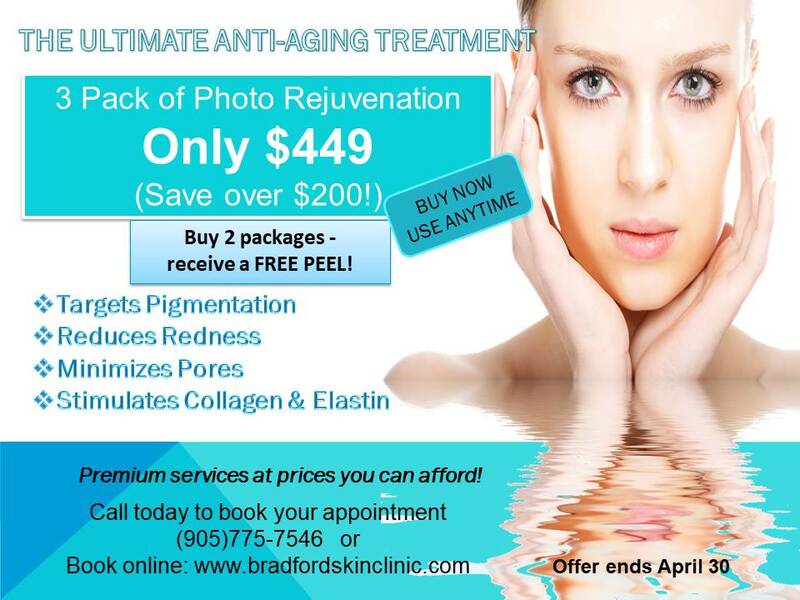 Are you looking for a client that does IPL in Simcoe County, Ontario? 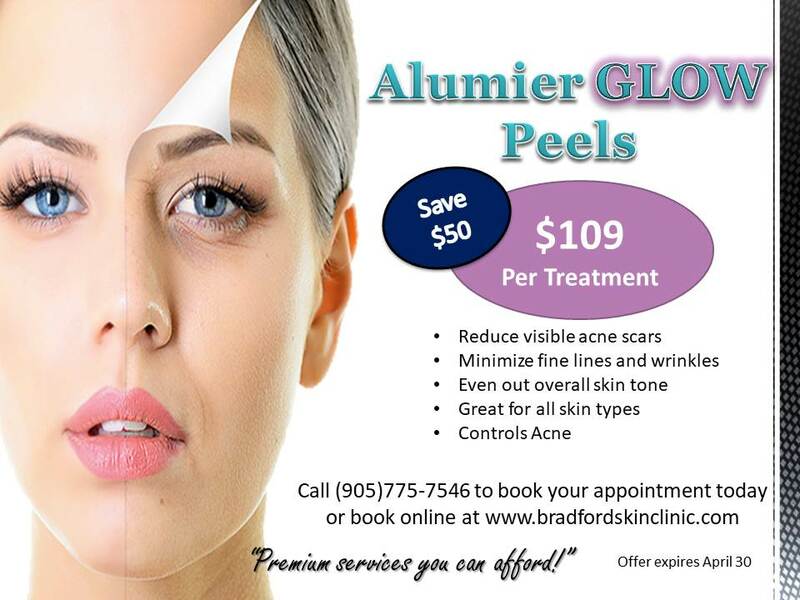 Bradford Skin Clinic and Med Spa often sees patients from Holland Landing, Aurora, Sharon Barrie Orillia and other areas who travel to the clinic for superior permanent hair removal treatments. When it comes to permanent hair removal, many people don’t know that there’s a difference between IPL and true laser hair removal. IPL hair removal uses a multifunctional platform with multiple different wands to target a variety of conditions, including broken capillaries, collagen building and pigmentation. It’s a cheaper option than true lasers for spas. True laser systems, such as Mediostar requires a significant investment. It can take a while for a spa to save up enough to afford a specialist true laser machine, which offers targeted permanent hair removal. IPL and laser both use light energy which the dark hair pigments absorb. The laser causes damage to the hair follicles, which ultimately destroys the hair root and reduce hair growth. Unlike ordinary light, laser does not cancel itself out. It is coherent. Laser light waves are parallel and divergent (collimated) which makes it potent. Therefore, almost all the light can be used for hair reduction treatment. Laser light emissions are of the same wavelength (chromatic) which makes them more potent. These characteristics make lasers a fantastic tool to selectively target specific chromophores by targeting melanin. The lasers deeply penetrate the target, but it avoids being absorbed by other chromophores. IPL is actually not laser at all. In fact, it produces a broad spectrum of wavelengths, similar to a light bulb. IPL cannot be concentrated or focused into a beam to selectively target chromophores. The variety of wavelengths that are distributed at different depths makes it difficult for the light to be effectively absorbed into hair follicles. These factors make IPL less effective than true laser hair removal treatment and that is why IPL is much cheaper than true laser hair removal – it is less effective. If you’re looking for effective permanent hair removal, book a true laser treatment with one of our qualified therapists. Our MeDioStar machine achieves superior results. Many of our clients see a 80% reduction after only four to eight treatments. If you still need IPL treatment for capillaries, pigmentation, pore reduction, redness and rosacea, we can help with that, too. 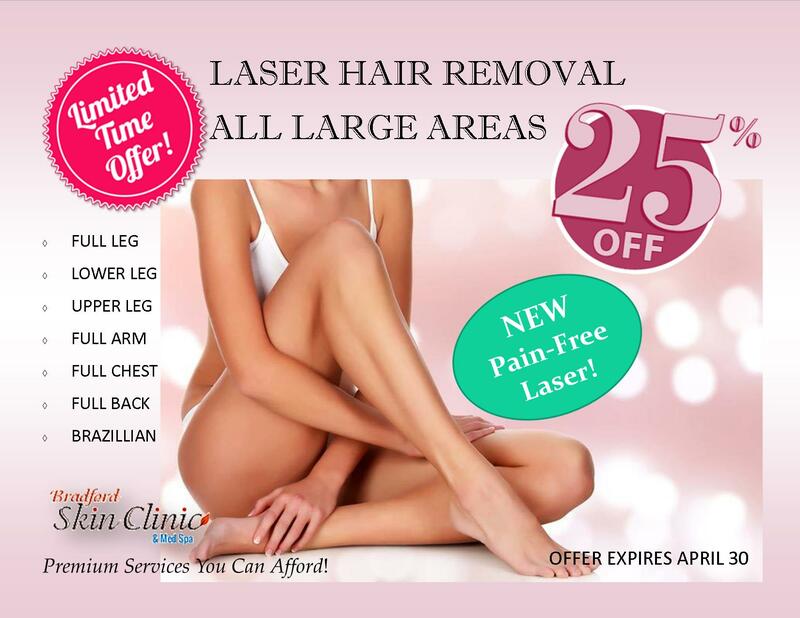 Call Bradford Skin Clinic and Med Spa today for IPL treatment and true laser hair removal.